The human body is made up of several systems that all have different roles to play to ensure the body is functioning properly. This course, Pharmacotherapy: Cardio, Respiratory, Gastro and Endocrine Systems, will introduce you the functions of some of these systems in the human body. You will study the different disorders associated with them as well as look into the different drug and alternative therapies for disease prevention. This course will first introduce you to pharmacotherapy for the cardiovascular system and respiratory system. You will learn about human blood, what it is made up of, and drug therapy for disorders associated with it. You will look into lung diseases such as Chronic Obstructive Pulmonary Disease(COPD) and the treatments available for these diseases. You will then study allergy symptoms, antitussives, decongestants, and antihistamines. The course also covers smoking and the addictive component of tobacco. You will then study the gastrointestinal system and the endocrine system. You will learn about disorders associated with each of these systems such as nausea and vomiting as well as diabetes, which has been compared to an epidemic in scale. You will then study different drug therapy solutions for treating these disorders. This course will also teach you about nutrition and drugs for metabolism, including micronutrients, macronutrients, and various vitamins and their benefits. The human body is truly an amazing thing, and learning about its different systems such as the cardiovascular system, the respiratory system, the gastrointestinal system, and endocrine system will allow you to become the kind of person who can really help those in need. This course also contains valuable knowledge that will benefit everyone who wants to know more about how the body functions, so check it out today and learn something interesting and meaningful in just a few short hours. Identify common herbal and alternative therapies that are related to the cardiovascular system. List the different categorization of blood types. Identify the use of a nebulizer. Discuss the most effective ways of quitting smoking. Differentiate between micronutrients and macronutrients. List some trace minerals and their role in the human body. 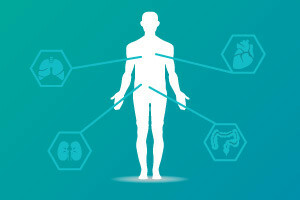 Discuss the functions of the endocrine system in the human body. Define the difference between hypothyroidism and hyperthyroidism. Describe the effect of insulin on the human body.